The Buskro Quantum is a simple yet powerful piezo DOD inkjet printer which combines the proven Kyocera print technology with Buskro’s established inkjet controller. Buskro’s Digital Label Press (DLP) features variable data, high speed/high quality inkjet label printing solutions. Buskro’s Card Personalization System (CPS) provides variable-digital printing and material-handling solutions. Regardless of the complexity of your application, Buskro provides the industry’s highest print quality and system integrity, making it a great investment for your packaging needs. 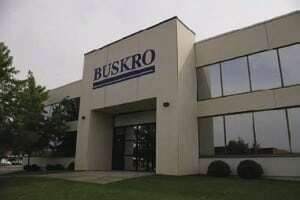 Welcome to Buskro.com, your trusted source for high-speed variable data imaging solutions. Buskro provides cutting edge technologies specifically designed to maximize profits in several industries such as card personalization, RIFD encoding, variable label printing, packaging, direct mail and commercial printing. Buskro’s trend setting Compose IQ software package ties together all of our system elements and offers the highest level of data integrity and ease of use. Founded in 1976, Buskro has evolved into an industry leader in the design and manufacture of high quality printing, tabbing/labelling and card processing equipment to meet a broad range of customer needs. Innovation is the key to everything we produce. Our approach of using the latest technology, along with an open architecture, allows our products to meet your current needs and adapt to your future requirements. Buskro equipment features heavy-duty construction from top to bottom, plus design details that promote years of trouble-free operation. Our commitment to innovation has produced solutions that have not only set the standard, but raised the bar for over 40 years. Working with Buskro’s global network of distribution partners, we take pride in providing quality service and support for all of our products, including our legacy technologies. When you consider your needs – the ones you face today and the unknown challenges of tomorrow, and then compare Buskro’s total value proposition of price, flexibility, quality and durability… Buskro is hard to beat! Buskro is able to read the identification number, assign unique variable data to the chip and provide an audit report at the end of the production run. Our BK160 Conveyor Sort Module makes it easy and inexpensive to separate jobs into more manageable bundles, reducing the risk of mistakes while maintaining high production speeds. Buskro carries a wide selection of inks to support all of our products and applications, including: Buskro’s own Renoir, Cezanne, Elite, Monet, Legar, as well as HP and Collins inks. Buskro’s worldwide dealer network offer a high level of sales and service support to our customers around the globe. Click here to find a distributor near you. Buskro offers technical support for our distributors and customers through our team of highly skilled, trained technicians. We also offer a full range of original Buskro parts, inks and supplies. Buskro participates in a number of industry leading tradeshows and conferences- click here for a complete list of events and activities. Click here to see our list of frequently asked questions and answers compiled by our technical team.